Increase your company’s visibility through a variety of marketing opportunities with the Vancouver Regional Construction Association and its media partners. Our weekly e-newsletter – The Connector – provides members with VRCA and industry news, updates on advocacy initiatives, upcoming events, educational offerings, exclusive savings opportunities and job postings. Emailed every Tuesday morning, The Connector is designed for quick reading on mobile devices and provides convenient links to online information and event/course registration. VRCA’s Education Alert – issued on the third Thursday of every month – is designed to help members and their employees stay up-to-date with education and training opportunities offered by VRCA and its industry partners. The Education Alert is designed for quick reading on mobile devices and provides convenient links to course registration. 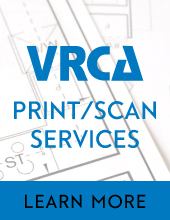 VRCA offers advertising opportunities in two locations on its website: the homepage and VRCA Voice blog. The VRCA homepage is the most-visited page on the website. It’s the association’s primary landing page containing information and links about VRCA, its programs, events and services. See homepage ads. The VRCA Voice blog is the most heavily trafficked section on the website. It’s home to VRCA news, industry news, member news and member profiles. VRCA introduced its Course Descriptions book in early 2019. This new digital publication replaces the printed course catalogue that was previously published twice a year. The Course Descriptions book contains a brief outline of VRCA’s current educational and professional development offerings, including classroom and online courses. It is updated monthly to include the newest additions to VRCA’s education lineup. Registration in VRCA courses is open to anyone. 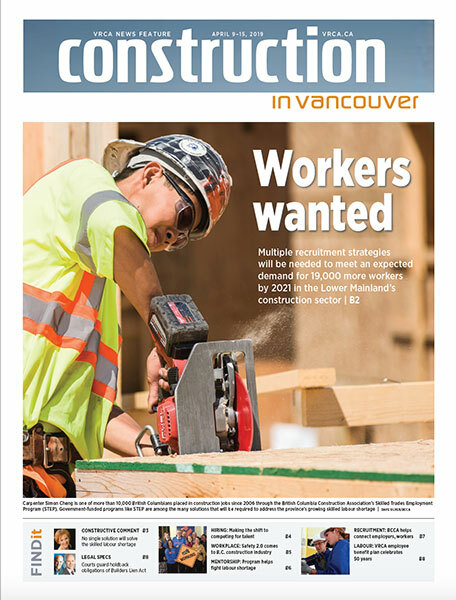 Construction in Vancouver is published four times a year by Business in Vancouver Media Group, in partnership with the Vancouver Regional Construction Association. This informative supplement to Business in Vancouver is a great way to promote your expertise to potential customers and the local construction industry. 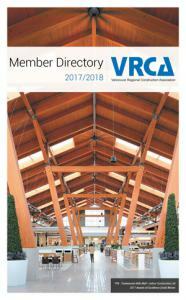 The VRCA Membership Directory is published once a year by Media Edge Communications, publishers of Construction Business Magazine, in partnership with the Vancouver Regional Construction Association. We are active on social media! Feel free to like or tag us in your posts and we will reciprocate!